Ladakh Nature Products / Rural Women’s Enterprise is a non-governmental organization dedicated to supporting Ladakhi women and preserving traditional knowledge through the creation of artisan products made with local natural materials. All products are sold at fair prices and all profits are put back into the organization’s work to train and support women artisans across Ladakh. 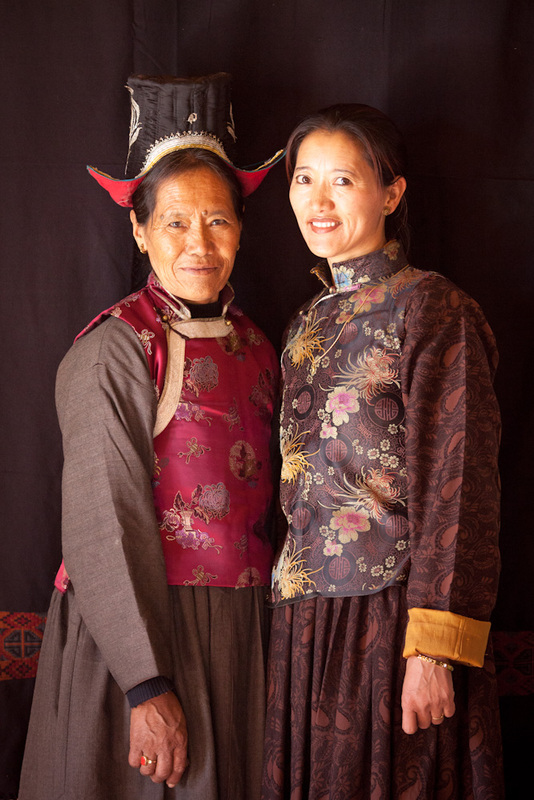 In 2012 Tsering Dolma and Mr Sonam Jorgyes, Tserig’s husband, founded Ladakh Rural Women’s Enterprise to help empower Ladakhi women and preserve Ladakhi culture. Tsering brings a lifetime of artisan experience to her work. As a child she began learning from her mother, a skilled artisan, and as an adult she has over 20 years of professional experience with LEDeG (Ladakh Ecological Development Group). Mr. Sonam Jorgyes, Tsering’s husband, is a great supporter of her work and plays a key role in the success of this organization. The inspiration to create women’s self-help groups in Ladakh came to Tsering during a trip to Rajasthan (India) with LEDeG when she visited the Barefoot College and various women’s handicrafts NGOs in villages around Udiapur. After that trip, she began forming women’s groups for income generation and empowerment through LEDeG in locations across Ladakh. She also began giving trainings in fiber arts, as well as training in raw materials, quality control and marketing. Since 2001 Tsering has given over 80 trainings in Ladakh, Zanskar and Spiti Valleys in such skills as spinning, knitting, weaving, sewing, felting and natural dyeing. The trainings last from one to three months and are open to all women. In Spiti, she trained women to make their own traditional indigo and tie-dye (“thigma”) wool shawl, as that knowledge had been lost there. Traditional culture is disappearing rapidly in Ladakh, and without this kind of organized effort it could be lost in a generation. On June 5, 2013, Tsering opened Ladakh Nature Products in Leh’s Main Bazaar. From its inception the shop has been a magnet for locals and tourists who are attracted by its display of unique and spirited artisan creations. Leh is full of souvenir shops, but Ladakh Nature Products stands out as an authentic local gem!